Experience the only open canyon of Madrid's Somosierra mountain pass as you fearlessly jump, rappel, and swim through the Duratón River. Pickup from your hotel is usually around 10:00 a.m., but we can adapt to your needs if you let us know 24 hours in advance. The minimum number of people per group is 1, maximum is 10. We can accommodate up to 60 people at one time by splitting up into groups with multiple guides. The minimum age is 8. 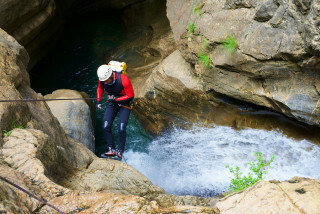 The canyoning activity lasts for 3 hours. Transfer time is 1 hour to the meeting spot, and 1 hour back to your hotel. What to bring: Swimsuit/trunks, sunscreen, sport shoes (will get wet), dry clothing to wear after the tour, dry shoes for after the tour, and water/food. Basic swimming skills are required to participate. However, no previous canyoning experience is needed. If you do have experience and are looking for a greater challenge, let us know and we will plan the tour so it suits your level. You can cancel up to 48 hours in advance with 100% reimbursement. Pickup at hotel or the agreed-upon location. For thousands of years, the Duratón River has eroded a unique canyon, with bends, huge gullies, and tall cliffs. To leap into waters as you explore this environment is unlike anything else. 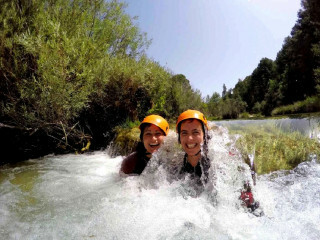 Simply, this part of Madrid's mountains was made for a canyoning adventure! 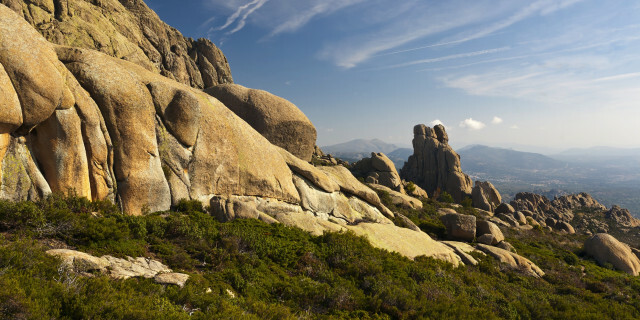 From griffin vultures and eagles flying over the mountain peaks, to wild flowers covering rocky walls - the Guadarrama mountains are full of surprises. After your hotel pickup at 10:00 a.m., the drive is about one hour, during which you can ask the driver about anything interesting you see on the way. Once we arrive at our meeting spot, we provide all necessities and your experienced instructor explains how to best handle the equipment and path ahead. Under his surveillance, navigating the twists and turns is as fun as it is safe. A 30-minute walk leads us to the top of the canyon, and that's when the three-hour adventure starts. Using your rope and harness, which is tightly secured to your waist, you rappel down as your instructor carefully guides your moves. Our descent includes waterfalls, natural pools, and vertical abseils through 30-meter granite walls. Plus a fun, 9-meter slide! Walking along stunning routes and clambering over rocks takes a bit of effort, but it's suitable for beginners. This adventure comes with a guarantee to get you wet, slipping and tripping as you have an amazing, unforgettable time. 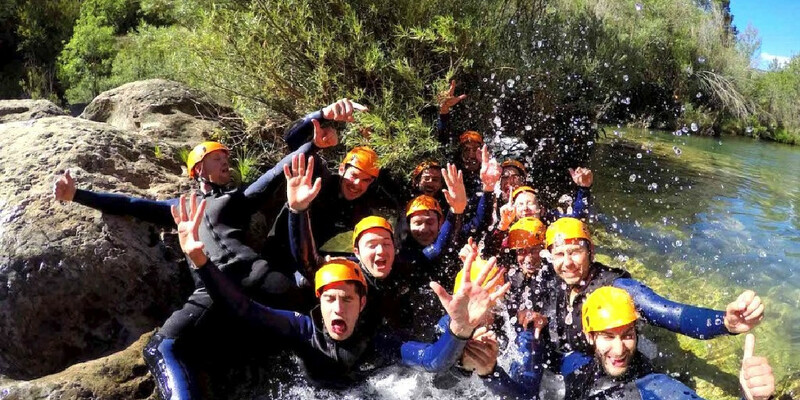 That's what canyoning's all about! 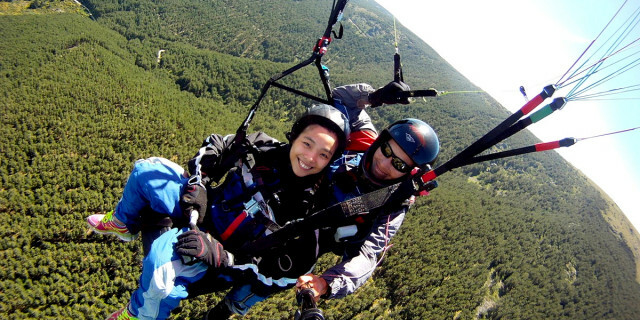 Observe the charming areas near Madrid from new heights as you paraglide over the mountain pass of Somosierra, the Litueros waterfall, and endless shades of green. 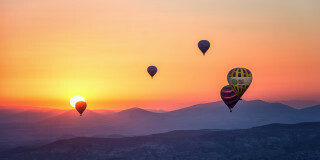 Experience a balloon ride over a 2,000-year-old World Heritage site and the beautiful mountains of Sierra de Guadarrama National Park.